The decision to build the new Borders railway has been described as 'insane' by the Institute of Economic Affairs. The think tank said the project was 'exceedingly poor value for money'. But the claims were rejected by Transport Minister Keith Brown, who insisted the line would provide a major economic boost to the Borders. 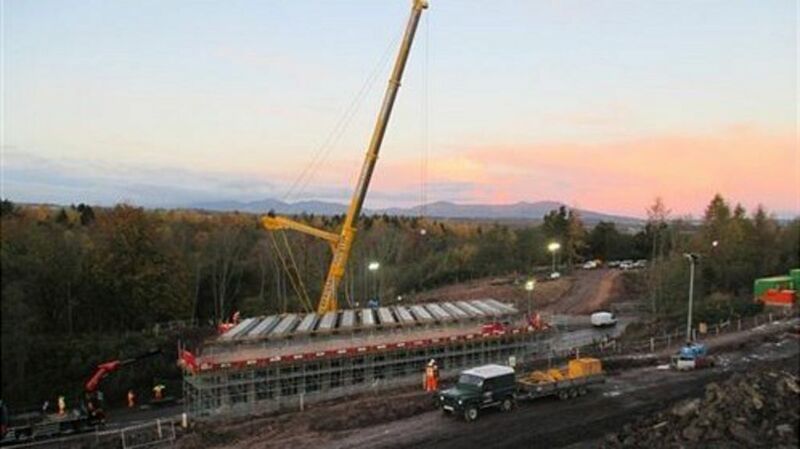 The railway link between Edinburgh and Tweedbank in the Borders is due to be completed by 2015 and will cost £294m to construct. The decision to build the new Borders railway is described as "insane" by the Institute of Economic Affairs. View south over base camp at the former Fountainhall station on 30 August 2013. The rail bridge over the Gala Water at Torwoodlee on the northern edge of Galashiels, seen on 18 September 2013 with reconstruction work well underway. [See image 28473].